Why Full Scale Virtual Research? Our shoppers experience in-store reality, fully immersed in shopping for products, without interruption. Our moderators fully focus on shopper behavior and get powerful visuals to fully convey observed insights. There are no limits on size of shelf, or number of products that can be included in the research. This is full scale virtual research that truly reflects the reality that shoppers experience at the shelf. 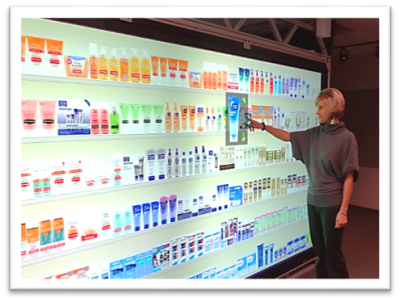 ​​Our 6ft X 12ft glass "Touch" screen provides capability for shoppers to interact with products independently. We use 4K rear screen projection and proprietary software that provides full scale shelves/packaging, in perfect color, with real-time package and planogram changes, touch tracking for quant shopping basket analysis for and volume estimates. Our virtual research was developed to reflect the same results as physical research – tested in side by side comparisons. Additional panelist/participant research demonstrated that our virtual testing did not introduce behavioral or attitudinal differences. Research and market results are consistent. There is significant cost reduction with virtual research as there is no need to purchase multiples of a product, and the visuals can be used for additional research. 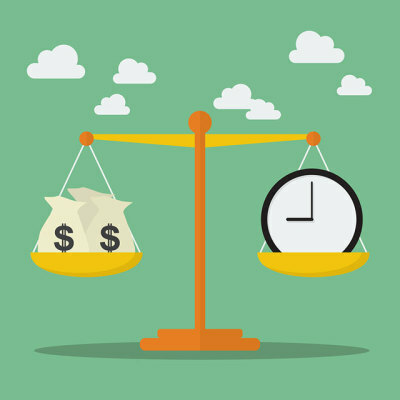 Setup time is significantly shorter and changes are implemented in minutes, versus hours/days. The need for costly prototypes is eliminated and design changes driven by learning can be implemented within minutes. Our facility features state-of-the-art Focus Group Suites, respondent recruiting and facilitation. The conference rooms can be configured in a variety of styles including living room, classroom, auditorium, and conference.